Successfully Added HK Warehouse Android Phone KEN XIN DA V9 - 6 Inch Display, Android 6.0, MediaTek CPU, 2GB RAM, Dual-IMEI, 4G, 13MP Camera (Grey) to your Shopping Cart. 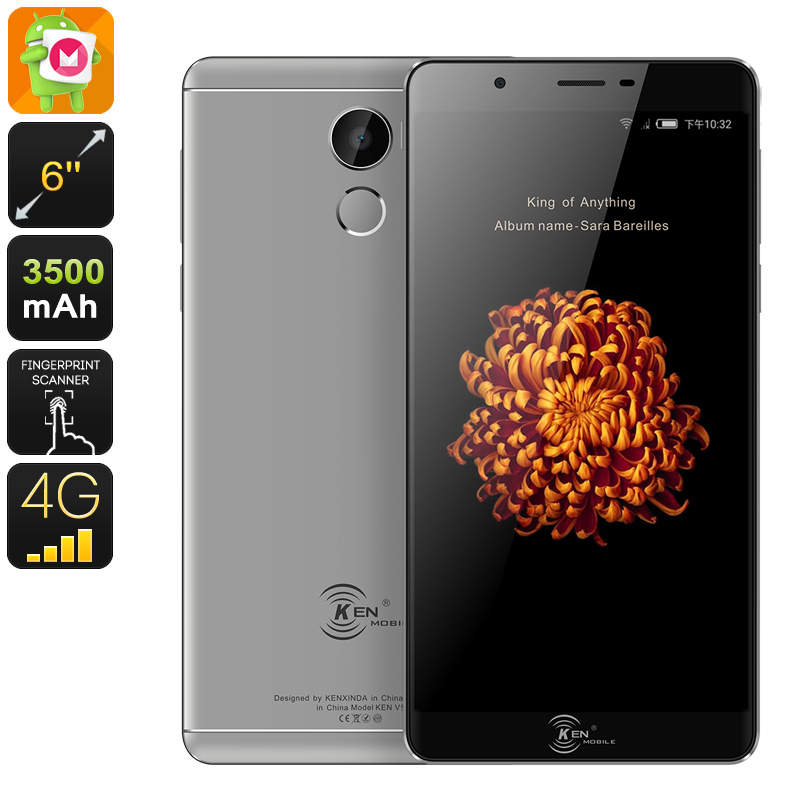 The KEN XIN DA V9 Android phone features a large 6-Inch display on which it lets you enjoy all its features to the absolute most. Supporting crisp 1080p resolution, this large screen lets you enjoy Full-HD media at any given moment. With this beautiful display, you’ll be able to enjoy a cinematic experience from the palm of your hand. Watch movies, play games, and use the coolest Applications – never before have you been able to use your favorite media in such vivid color and great detail. Crafted out of Corning Gorilla Glass 3, this screen is remarkably durable. Therefore, you won’t have to worry about accidentally scratching or breaking it when you’re heading outside. This Android phone runs on the Android 6.0 Operating System. Thanks to this, you’ll be treated with a smooth and lag-free user experience while enjoying the latest software features. With a 3500mAh battery, you’ll be able to enjoy all it has to offer for up to 4 hours in a row. So simply head out to the Play Store and download your favorite films, games, and Applications. With the KEN XIN DA V9 at your side, you will never again have a reason to feel bored. With its Quad-Core CPU and 2GB RAM, it can tackle all the basic Applications. It furthermore supports 16GB of internal storage and a stunning 128GB of external memory. Therefore, you can be guaranteed that you’ll never run out of space to keep your downloads. With its Dual-IMEI numbers, this cheap Android phone lets you stay connected to two network providers at the same time. Additionally, you’ll also be reachable at two phone numbers simultaneously. Therefore, you’ll always be within reach to friends and family. Your Android smartphone furthermore supports 4G. This lets you make use of the fastest mobile data speeds out there. Whether you’re at home, outside in the mall or enjoying a holiday abroad – from now on you’ll always be able to reach your loved ones.